EPI is proud to partner with the University of Ghana and have our scholarship students attend this prestigious institution. Click here to view the University of Ghana website. The University of Ghana, Legon was founded in 1948 and is now the oldest and largest of the five government-run universities in the country. 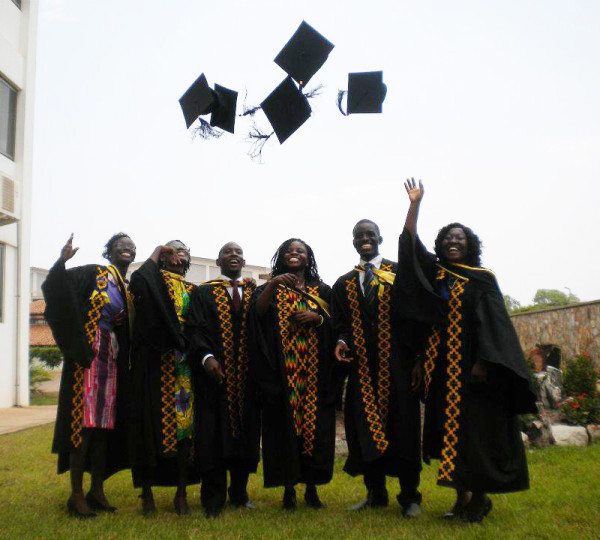 With more than 29,000 students and 650 faculty members, the University of Ghana is considered a center of excellence in Africa. The University has seven departments that offer numerous courses in a wide variety of fields including art, social sciences, business, physical and biological sciences, law, medicine, dentistry, pharmacy, health sciences, nuclear and allied sciences, engineering and agriculture. Guided by a mission of developing word-class human resources and capabilities to meet national development needs and global challenges through quality teaching, learning, research and knowledge dissemination, the University of Ghana today stands out as a leader in tertiary education in Ghana.